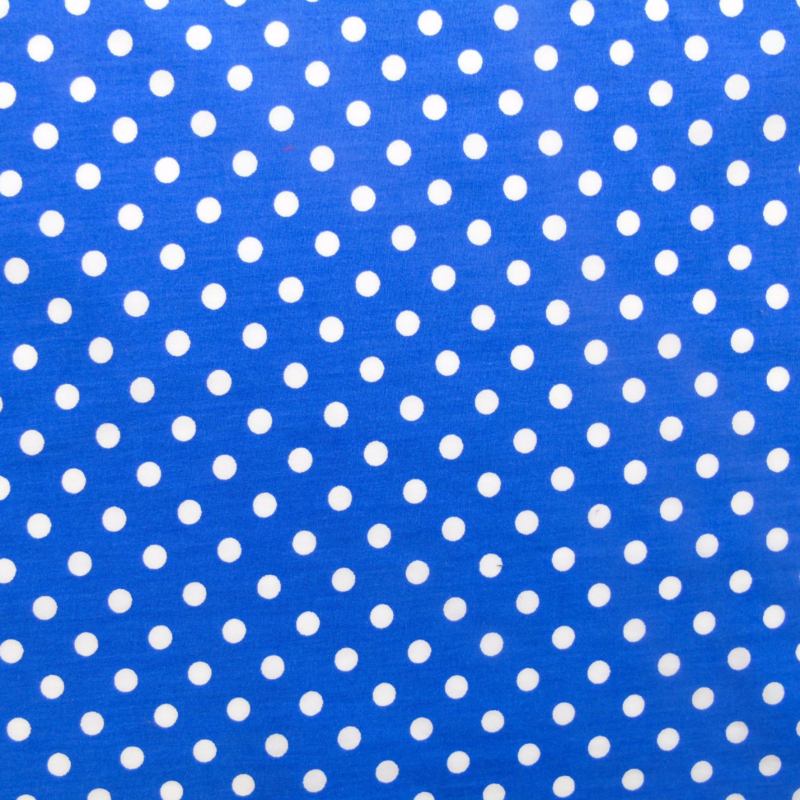 A classic Royal Blue Polka Dot Droolbuster dog bib! 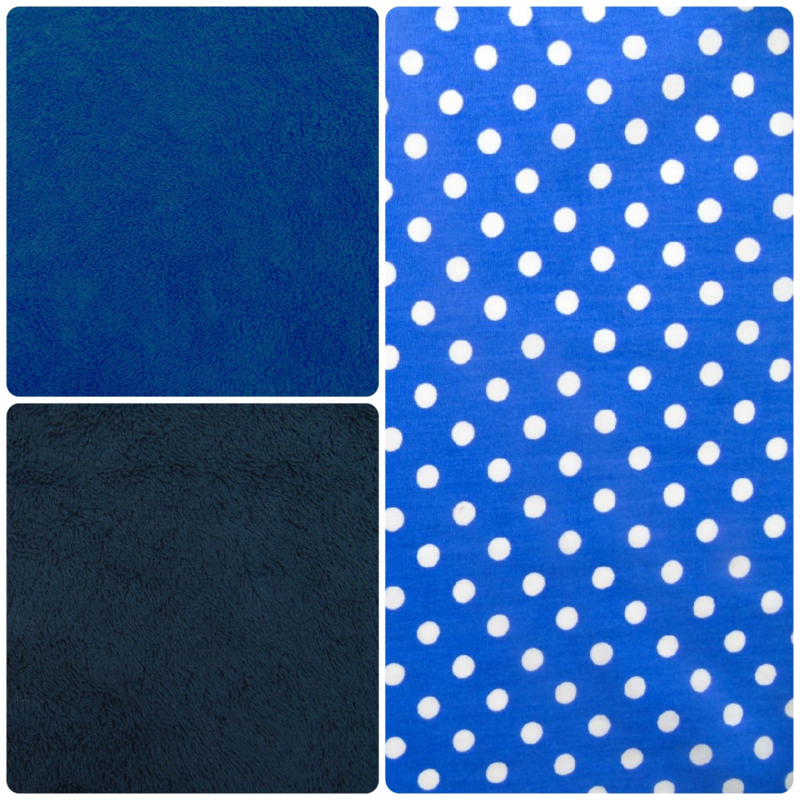 Spots never go out of fashion, and this print looks particularly great when combined with the Royal Blue or Black Terry Towelling options. 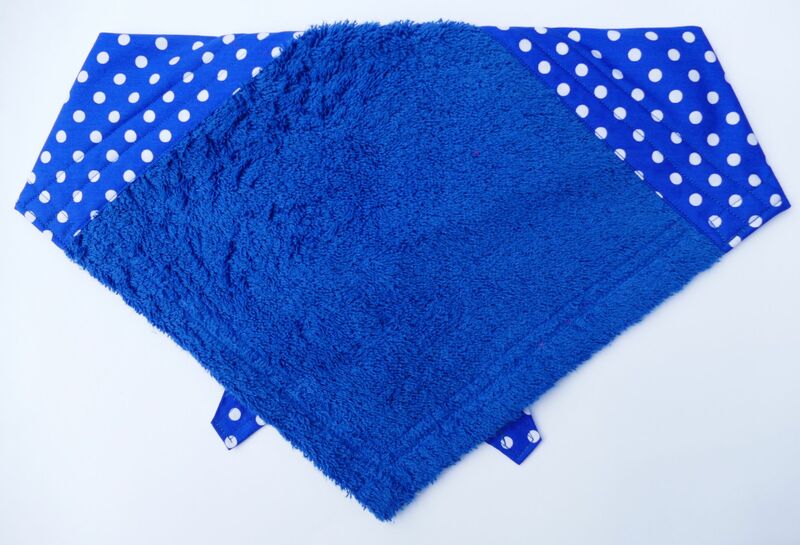 The cotton towelling is set into the Droolbuster bandana, and is luxurious and super absorbant, making Droolbusters a perfect and practical accessory for any dog that drools.